The 49th International Film Festival of India (IFFI 2018) will be held in Goa from 20th November to 28th November 2018. The IFFI 2018 event will showcase 212 films from over 68 countries which reflects the diversity of taste. International Competition section has 15 films out of which three are Indian. The IFFI 2018 event will start with World Premiere of The Aspern Papers with the international star cast. The Aspern Papers tells a story of obsession, grandeur lost and dreams of Byronic adventures. The IFFI 2018 event will open with Malayalam film 'Olu'. While in the Non-Feature film category Marathi film 'Kharvas' will be the opening film. Dan Wolman from Israel will be given the Lifetime Achievement Award during the festival. The Country of Focus this year is Israel and Jharkhand has been selected as the 'State of Focus'. 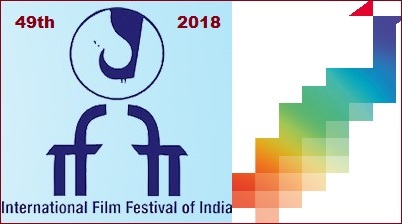 IFFI is the biggest state-backed film festival and conducted jointly by Union Ministry of Information and Broadcasting, Directorate of Film Festivals and Government of Goa. It was founded in 1952 and since then held annually in Goa. IFFI aims to provide a common platform for cinemas of the world to project the excellence of the film art. It also seeks to contribute to create awareness for understanding and appreciation of film cultures of different nations in the context of their social and cultural ethos and promote friendship and cooperation among people of the world.